Since 2003, the Byron Herbert Reece Society has worked diligently to commemorate the man whose life and legacy continues to have an impact in the lives of those who have an appreciation for the rich cultural history and tradition in the mountains of North Georgia. The society also celebrates anyone who enjoys reading poetry and rural fiction inspired by the dynamic and agrarian qualities of the area. Reece was born on September 14, 1917, near Blairsville. His birthplace is nestled in the very bottom of the Appalachian Mountains; and at the time, it was such an isolated area that Reece never saw a car until he was eight or twelve years old. Due to these circumstances, Reece grew up in an agricultural cocoon, where he developed a strong connection with the land around him. 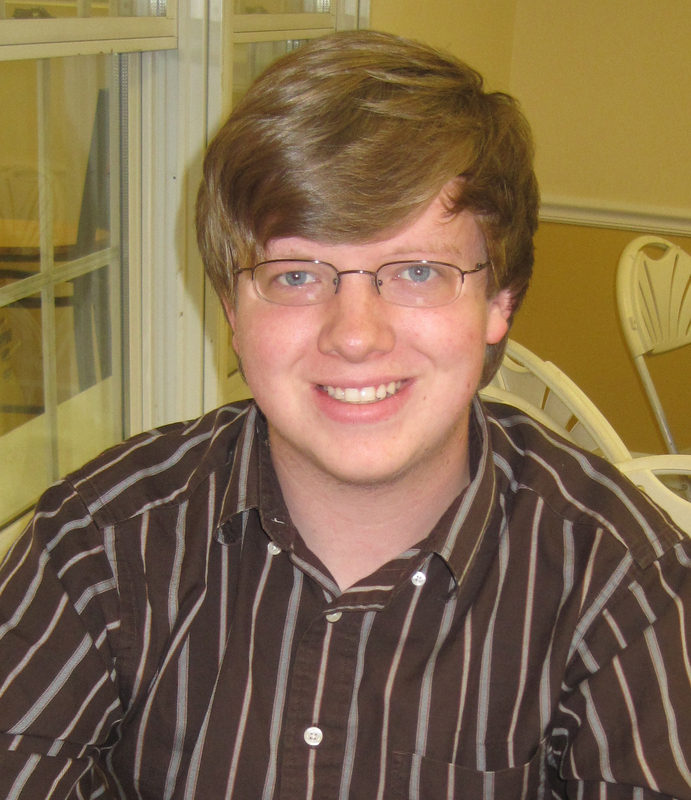 After graduating from Blairsville High School, Reece did not wander very far and decided to attend Young Harris College, a school located in the neighboring county for the next several years. Reece would write many poems that would gradually gain him popularity among many of the journals and newspapers of the area. While at the same time, he was teaching and taking care of the family farm due to his parents’ recent illness. 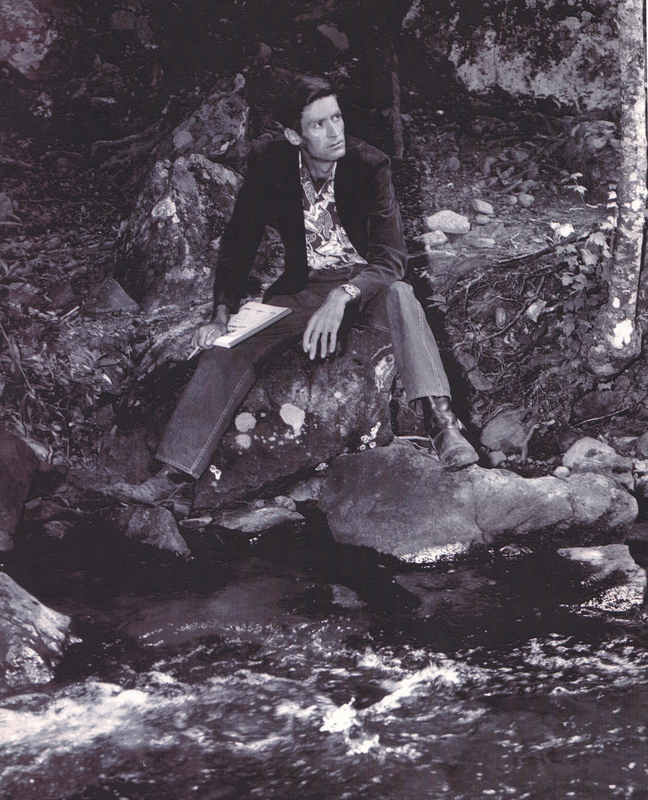 Although Reece’s works never brought him much financial stability, he won various awards and honors for his contributions to literature, including the Georgia Writer’s Association’s literary achievement award five times, the position of poet-in-residence at Young Harris College and Emory University and a nomination for a Pulitzer’s Prize in poetry for his work, “Bow Down in Jericho,” in 1950. Due to contracting tuberculosis, the same disease that his parents suffered from for several years, and continual financial instability, Reece plunged into a deep depression. On June 3, 1958, Reece ended his life by shooting himself in the lungs, which is where his disease was festering. This occurred in his dormitory room on the campus of Young Harris College where he was currently teaching. In order to preserve Reece’s legacy, The Byron Herbert Reece Society was officially founded by various distinguished members of the community including Lamar Paris, Dr. John Kay, the chair of the society, and Dr. Bettie Sellers. One way the society plans to do this is by taking Reece’s home farm, located near Vogel State Park, and turning it into a Heritage Center including a visitors center, displays about farming, a group pavilion, amphitheater and walking paths highlighting the sights that had such an impact in Reece’s life. 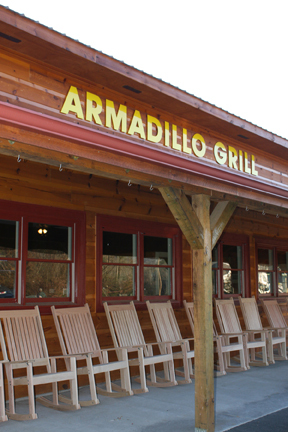 If all goes well, the center is expected to open in 2012. Other methods of keeping his legacy intact include a school program called “Reece in the Schools,” in which public schools around the area will incorporate Reece’s works into their curriculum. Young Harris College has also done this by encouraging professors to incorporate some of Reece’s poetry in their own literature courses. Trails have been named after him, and even a play inspired by his works called “The Reach of Song” was created and became the official state drama in 1990. When I first started my college education at Young Harris College, I thought I had it all figured out. I was majoring in English, and that was final. Naturally, a semester later, I was now both an English and art major. It was not a decision I took lightly, and I did not decide to do it on my own either. My decision making process was aided by the art department of YHC; and although I will not say I regret making that decision, it has certainly not made my life any easier. In my opinion, of all the degree programs at YHC, the art program is the most neglected, and changes need to be made. Since the school has become a four-year institution, huge transitions have been initiated, but the art department is being left behind in the dust. Even before YHC was a four-year school, the art department paled in comparison to the music, English and science departments that are fully staffed and offer many different opportunities and new directions for students to take their majors. This year, as nice as the new recreation center is, I thought our school’s motto began with “To Educate.” When I read that, I thought it meant that it was the school’s primary goal to provide the best education it can offer to its students. I guess the art students did not make the cut. As of right now, there are currently only two professors who teach art classes and one professor who teaches art history. Not only does this put a large amount of pressure on them, but it also makes scheduling classes very difficult because each class is only offered once. If you decide to be an art major your second semester, like I did, count on graduating late. The classes offered are also very limited. The school offers two drawing classes, two design classes and one painting class. It has yet to offer a graphic design program, which is unfortunate considering graphic design is probably the most applicable and profitable field an art major can enter with today’s economy. The college has been working towards offering more four-year degrees. And, when I decided to major in art, I, and many other art majors, were told that art would have a four-year program by the time we were finished with our sophomore year, in which we could continue to work for a Bachelor’s degree. Now, in the first semester of my sophomore year, I am being told that no such degree will be offered for the benefit of the sophomore art majors. If I had not additionally been majoring in English, I would be forced to transfer to another school. As it is, I can either stay at YHC and be content with only an Associate’s degree in art, which will not benefit me very well, or transfer to a school where I can continue to pursue art and English. Many of my fellow art majors are in fact planning on transferring to other schools. I was under the impression that Young Harris wanted to convince as many students as possible to stay four full years, but now it is losing several students who will no doubt encourage other prospective art students in the area to choose another college. As a liberal arts college, Young Harris should strive to improve the quality of all its areas of study. As of right now, it is failing to do so. Every year, the Young Harris College Choir exceeds expectations by displaying exemplerary vocal ability in each of its performances. Many have heard them perform, but now the choir has the opportunity to deliver their music to a much broader audience. At the end of next semester, students will be traveling overseas in the choir’s first European tour. Those who attend will be given the chance to not only sing for a culturally diverse audience, but also to explore and appreciate the many wonders that can be found across Europe. Jeffrey Bauman, professor of music and director of choral and vocal activities at YHC, has been working hard to plan this trip for students who will find themselves visiting the cities of Prague, Vienna and Munich. Students have already begun rehearsing for their performances which will be held in historical and cultural landmarks such as Melk Abbey, Salzburg Cathedral, St. Michael’s Church in Munich and the gothic St. Vitus Cathedral in Prague. The ten-day tour will begin shortly after graduation in May 2011, and the choir will be spending approximately three days in each of these historic cities. “We are all very excited about this opportunity and the choir is making this trip the focus of our entire academic year.” states Bauman. This experience is not only for the musically inclined. The college has officially opened the tour for community members interested in going on this trip. The anticipated cost for the entire trip is $2,700; however, this number is tentative and depends on the final number of participants. YHC students are working diligently to be ready to perform at their fullest capacity. The trip is two semesters away, but students interested in going should act now. Anyone having questions or wanting more information should contact Jeffrey Bauman. UPDATE1( 4:35 p.m., 09/30/10) Corrected authorship. Not many people who attend Young Harris College are aware of its rich, cultural history or the men and women who helped shape it. Among these individuals was a man named Byron Herbert Reece. Reece was an alumni of YHC, and later taught from 1935 to 1942. Eventually, he would become a professor at YHC until the time of his death in 1958. He was an incredibly talented poet, and the beautiful Appalachian Mountains served as a wellspring of inspiration for his many works. Reece’s life was marked by tragedy, first, through the death of his parents and then from the illness that would lead to severe depression and the eventual decision to take his own life. His contribution to poetry and the impact he had in Union County will not be forgotten. In order to preserve Reece’s memory and legacy, The Byron Herbert Reece Society was formed by James and Frances Mathis who were given ownership of the Reece property in Union County several years ago. The society originally sought to preserve the property that had such a profound impact on Reece’s life and provide a means for anyone interested in him or his poetry to have the resources to discover more about them. In 2002, the Society made Dr. John Kay, professor emeritus of religion and philosophy at YHC, the chair of the organization. Through this appointment the society has flourished by means of reaching out to various members of the community, and the firm determination to immortalize Reece and his works. Although Dr. Kay is unavailable for an interview at this time, the society’s mission statement is displayed on their website, www.byronherbertreecesociety.org. 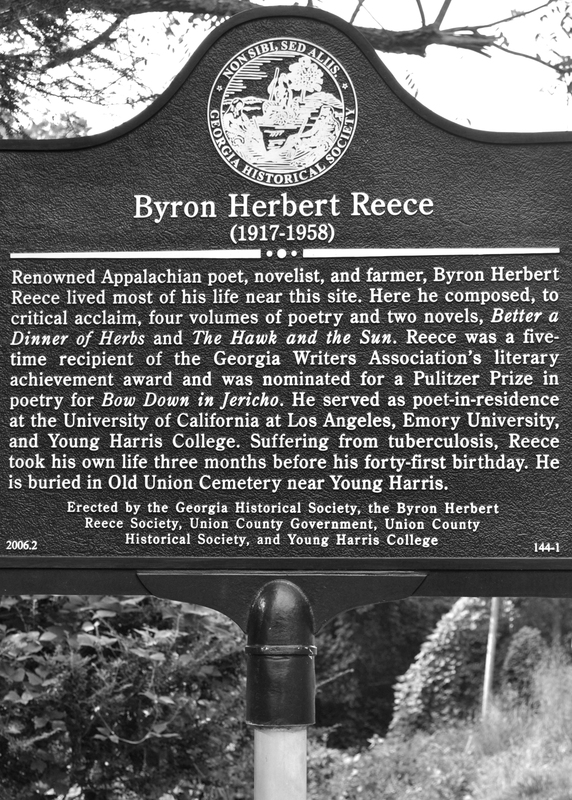 Its purpose is “to preserve, perpetrate, and promote the literary and cultural legacy of the Georgia mountain poet/novelist, Byron Herbert Reece. In addition to enhancing both knowledge and appreciation for his writings, efforts will be made to honor his way of life, with particular emphasis on his love of nature and his attachment to farming.” Through the efforts of YHC and the Byron Herbert Reece Society, Reece’s voice will continue to echo through the valleys of the Appalachian Mountains and beyond.